California artist Frank Zuanich (1890-1978) is best known for his realistic landscapes, including scenes of the Grand Canyon, Lake Tahoe, and the American Southwest. 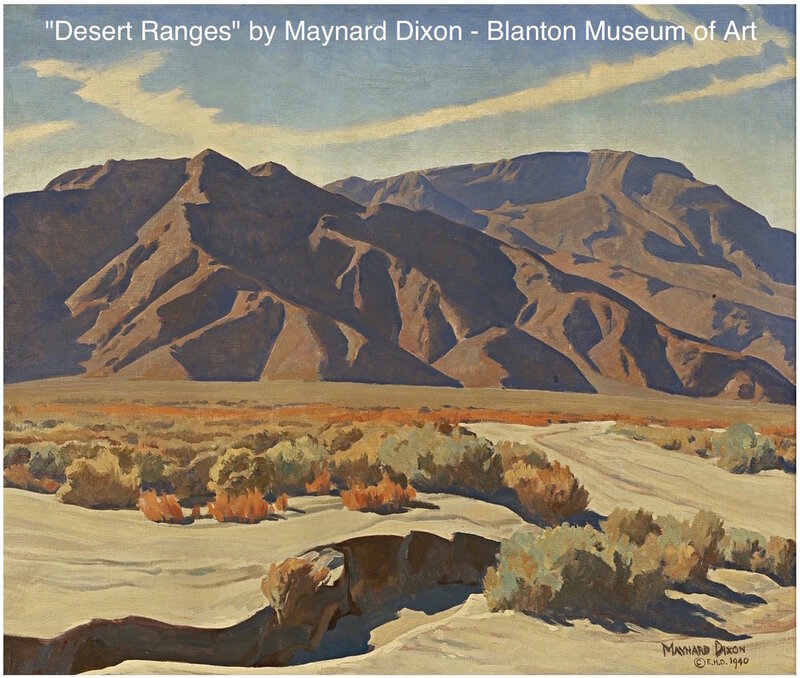 This particular painting is noteworthy for depicting the same scene as an earlier work by Maynard Dixon titled “Desert Ranges,” which resides in the collection of the Blanton Museum of Art at The University of Texas at Austin. While mirroring Dixon’s striking composition, Zuanich uses a brighter palette and accentuates the natural patterns in the hills, sagebrush, and the wavelike forms in the foreground to produce a substantially different mood than the work by Dixon. Both works are visually appealing, yet each retains a uniqueness that reflects the personality and style of the respective artist.